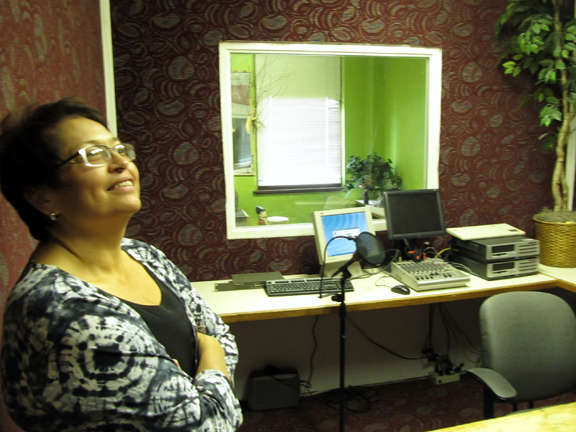 Four new radio stations are on the air across northern Minnesota, and each is eager to serve American Indian audiences. 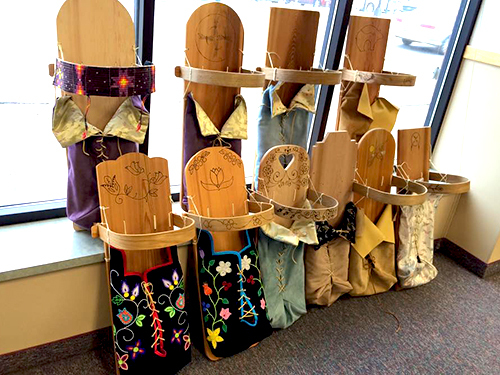 In Callaway, Nett Lake, Cloquet and Cass Lake, station employees and volunteers have been scrambling to get the stations up and running so they can provide music and information to tribal members, many of whom live in isolated areas. The new stations all benefited from a new Federal Communications Commission policy that gives tribal entities priority for radio frequencies that cover tribal lands. That’s made for a whirlwind couple of months for Betsy McDougall, who is coordinating efforts to put a radio station on the air on the White Earth reservation. As she walked into a small studio space in an old school in Callaway, McDougall recalled with a laugh the day she realized how much local residents care about the new radio station. She said one man showed up with his own can of paint and went to work. "By the time I could even say, ‘hold on here a minute,’ he had this thing green in minutes," she said. "At that point we started to think this is going to be the green room." McDougall, one of three station employees, has been overwhelmed with volunteers who want to help with the station, and by the response to her first e-mail funding raising effort. "We got a $20,000 check in the mail from that little e-mail I sent out," she said. "And I thought to myself, these people really care about community radio. And there was a lot checks that came that mattered. Five-dollar checks, 10-dollar checks." The White Earth station is on the air, but studios are still under construction. Three of the stations are licensed to tribal governments and financially supported by the tribes. The White Earth station is licensed to the White Earth Land Recovery Project and is a non-profit organization. White Earth Land Recovery Project founder Winona LaDuke said the stations will raise the profile of American Indians in northern Minnesota. "By the time we’re all on the air between here and Duluth, you can hear Indian radio all the way across, and that’s going to be pretty darn cool," LaDuke said. "So you can drive on highway two and just listen to Ojibwes." The music ranges from traditional powwow songs to techno and pop. The stations will also carry some national American Indian programming, and cover local news and events. But the stations all plan to highlight traditional customs and Ojibwe language. Volunteers will produce a lot of the programming. It’s typical of tribal stations to run on volunteers and a shoestring budget, said Loris Ann Taylor, president and CEO of Native Public Media, a network of 45 tribal radio stations across the country. She said tribal radio stations are a critical information source. Taylor said 90 percent of tribal members across the country don’t have access to broadband, and about one third don’t have basic phone service. She said the stations are all very focused on their local tribal audience. "They come from different angles," Taylor said. "There’s not one single template. All the stations will have different needs; it all depends on what’s happening locally and on the ground." A radio station at White Earth has been on the drawing board for years. 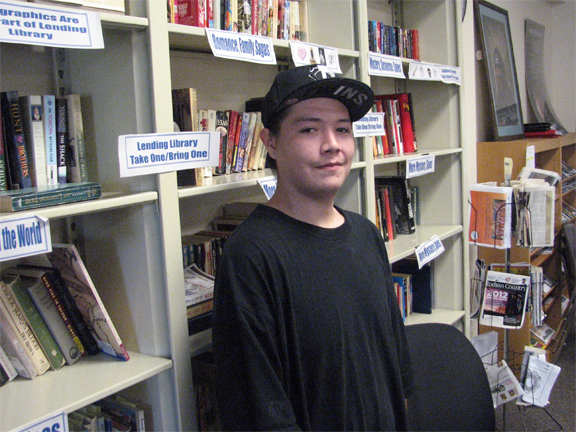 The FCC tribal license priority and a $466,000 federal grant finally made it a reality. LaDuke said the station will be staffed by volunteers and focused on issues important to tribal members. Although LaDuke said it will take a little time to develop local programming, she sees a huge appetite for Indian radio, both on the reservation and from people living in the Twin Cities and listening to the web stream. "My sense is that the people of White Earth are eager to hear our issues, our voices, our language, to just hear us, because we’ve been the object of other reporters, but we have not had a voice on to ourselves," she said. LaDuke said the stations will use its new voice to educate and inform tribal members and non Indians. She also hopes the stations will influence local and state politics. "I think a chunk of the problems we face in the north are because of an ignorance that exists in the non-Indian population," she said. "If you don’t know who we are, and why we’re different, then you are not really able to make informed political decisions if you’re a county commissioner because you don’t even know who we are." LaDuke said one of the biggest challenges for the reservation stations will be raising money to keep them on the air. She said they’re already receiving financial support from tribal members and businesses. She’s also counting on support from non-Indian businesses and residents. "What I am hoping is that individuals who own lakeshore houses on the White Earth Reservation on these beautiful lakes will be interested in having a radio station that talks about local issues and plays great music," LaDuke said. The four new stations all plan to spend the next several months working out technical bugs and training volunteers who will handle most of the daily broadcast duties.